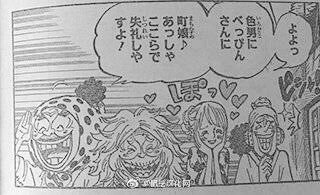 Discussion in 'One Piece Manga Spoilers' started by Vizard, Apr 17, 2019. Chapter 940: Seed(s) of Rebellion. Bartolomeo appears on the cover. Next week Color Spread for One Piece. - Cover: Bartolomeo is playing with dolls. The dolls look like straw hat crew, Bartolomeo is waving his fingers like doing magic. -Back in prison, Luffy still tries to practice punching without touching the enemy! -Luffy uses the conqueror haki again on the soldiers. -Kawamatsu is still in prison and shows his shadow as happened in previous chapters. - Obviously Grandpa hyo is trying to remember the way out of prison. 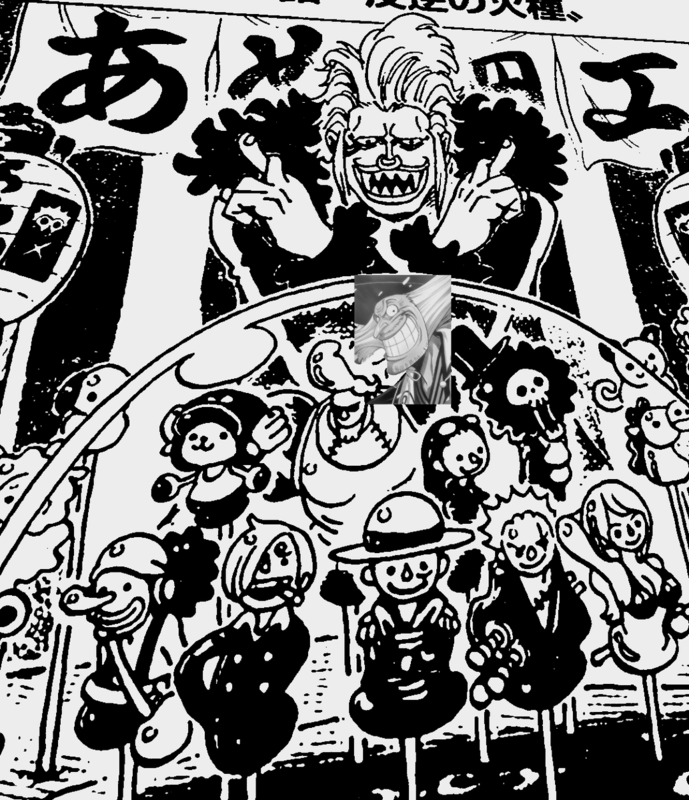 - Last Page: Big Mom and the rest in front of the prison mine !! mysticalflute and Robin-Senpai Is The Best like this. I'm sure the dolls are incomplete, not every Straw Hats have dolls. This is it, Big Mom vs. Queen. Big Mom vs Queen.. This is surely interesting. Hopefully we could get to see a fight between them, and wondering if Queen would be able to handle Big Mom himself. That we would know. I think it's set to showcase the difference of power between a Yonko and a Yonko "Monster Trio" commanders. That way, we would have a picture/basis on how Zoro, Sanji and Jinbe should be capable of once Luffy is good enough to match a Yonko 1v1. That would also be interesting. However, I have this in mind when it comes to "Monster Trio" in Strawhat. I didn't include Jimbie as one though he surely is strong but I think they should be Zoro, Sanji, and "Usopp". Coz I have a little thought here playing around in my mind. It's about "King" one of the 3 Calamities of the Beast Pirates. We have seen his image and as a character, he's a sword-user and would probably Zoro's opponent in the near future battle (as what we are expecting) but with his DF power, he could fly as fast as the wind and that would put Zoro disadvantage although Zoro might even have a long range attack, still that wouldn't be a fair fight. And here comes the only "MAN" I think is capable of dealing such opponent, none other than our God "Usopp" - sama. With his 100% accurate sniper skills and long range attack, he could possibly put "King" on hold or give some trouble. Might as well Nami as backing up Usopp for this fight and even Robin's DF would also be useful for this one. *Note: Even the mightiest children of Big Mom didn't even think to fight "King". 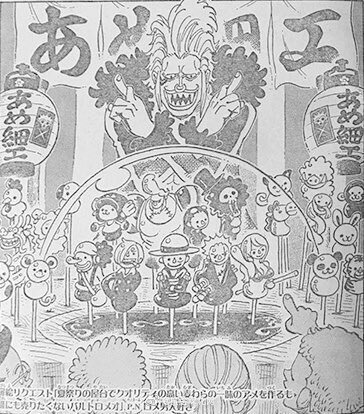 Should Big Mom and Queen really fight, I too expect queen to be excited,m for the opportunity, but for this to be a showcase between Yonkou and top commanders. But, Luffy isn’t even the least bit worried about queen either... Called him balloon and even offered to knock him out of the ring first. 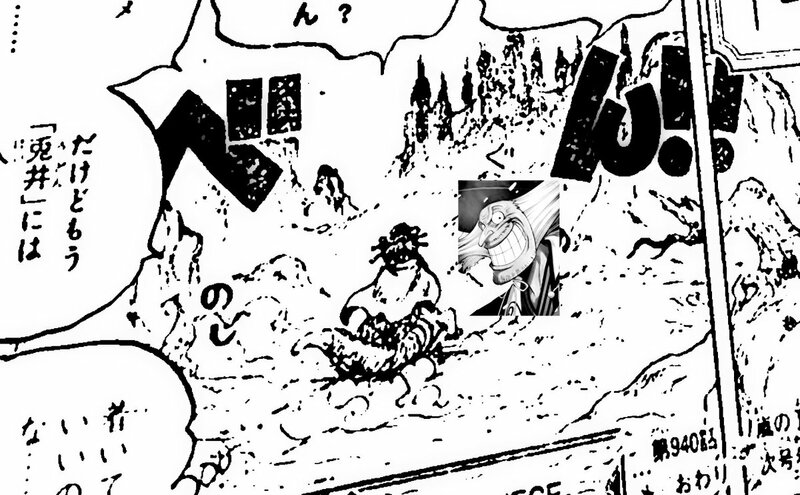 By now, I’m sure we all agree that luffy’s Haki is able to read his opponent’s strength. So, he knows he’s far above queen. Also, I believe that the new monster trio is Sanji, Jimbe, and Ussop (for grins). What about Zoro? In a completely different class. Apex second in command like King, Katakuri, Rayleigh, And Ben Beckmann. I believe he will be in his own class soon, maybe when Zoro fights Mihawk or when the crew already defeated all Yonkos. That's the time when the final Straw Hat M3 lineup finally dissolves. As expected, they're not complete. I hope Usopp gets a cool panel. And oh, what is Yasu doing? Luffy: There are four great pirates that are said to be the emperors of the sea in the world. “Kaido” is one of them. I am the man that’s going to become the “Pirate King”, so I must defeat all of them!! Hyo: “Pirate King”....... a man like Roger? Hyo is the most interesting character introduced in this arc, full stop. That would mean he’s the the hardest opponent getting in the way of the Strawhats... Doubt it. Unless he absolutely hates Roger and then therefore decides to turn on Luffy. But, again, his better years appear to be behind him.